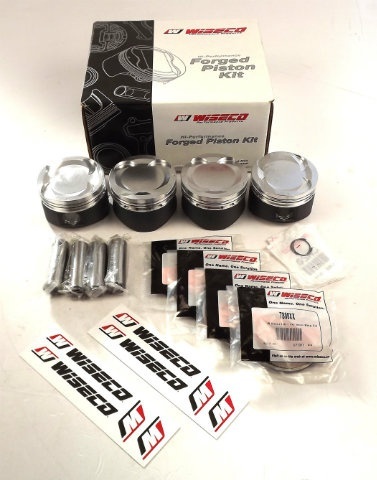 Wiseco forged pistons are ideal where the rev limit is going to be raised. When the rev limit is increased the stresses placed on the piston rise massively and it is in these situations when the forged piston will come into its own. They have generous valve recesses allowing more cam options and valve choices. They benefit from Wiseco’s 67 years of experience as leaders in the Forged Piston industry.